Jorge Masvidal had just KTFO’d Darren Till in the main event and was being interviewed backstage. Nothing wrong so far. Then Leon Edwards rolls in and all hell breaks loose. With the athletic commissions cracking down on things like this and dropping hefty fines left and right it was expected that this would not go unpunished. Nope. 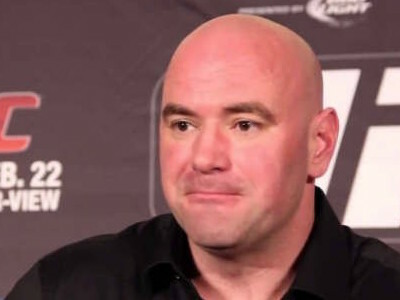 It’s all good according to Dana White’s comments to Yahoo Sports. We have enough people backstage that, that shouldn’t happen, including security. I’m super disappointed in my whole crew for that one. These guys are fighters, they’re in the heat of the moment, he just won, he’s got the adrenaline pumping and [Edwards] comes by plus Masvidal is ‘that guy’. For anybody backstage in my staff to let these guys walk up to each other is just ridiculous. As soon as he walked up the stage with his hands behind his back, 10 people from the UFC should have jumped in there. That stuff shouldn’t happen. What do you think? Should Masvidal have gotten hit with a suspension? Fines?